Maco PKG specializes in customizing packaging to fit specific purposes. We’ve faithfully partnered with manufacturing reps, experienced packaging engineers, and business entrepreneurs with good ideas to create masterpiece packaging. 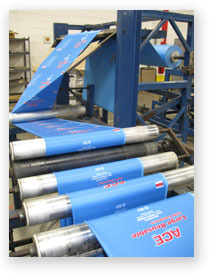 We’ve earned over 80 years of experience in the packaging industry, including customized packaging. We share our knowledge with you to create innovative, cutting-edge options to provide exactly what you need. We offer the best advice the industry has to offer. Most customized solutions in the packaging industry come with high pricing, since they include the consultation and prototyping stages as well as the actual manufacturing stage. But we at Maco PKG strive to maintain low, practical costs. As we discuss packaging options to fit your product, we analyze charges to achieve the most cost-effective option. We make your profit a priority. Our diligent engineers explain what each step will cost so that you fully understand the reason behind each dollar sign and can make an informed decision. Maco has built its business and reputation by providing custom solutions to challenging customer requirements. When we collaborate about what you need for your product, we budget your resources and direct your revenue to make sure each penny is going to the right place. As a team, we discuss the various aspects of the industry to ensure high quality at low cost. We inform our clients how to maintain quality despite a low budget. We want your customized packaging to be a success just as much as you do. To find out which flexible custom packaging solution is right for you, call +1-315-226-1000. During our initial conference with you, we’ll listen to your objectives for your packaging. What are the desired characteristics? What properties? What material do you want to use? What is the end use? We’ll carefully draw up blueprints and analyze what can make your goals a reality. After much planning, budgeting, and prototyping, we can then submit to you the perfect solution for your approval before sending it to the manufacturing floor.